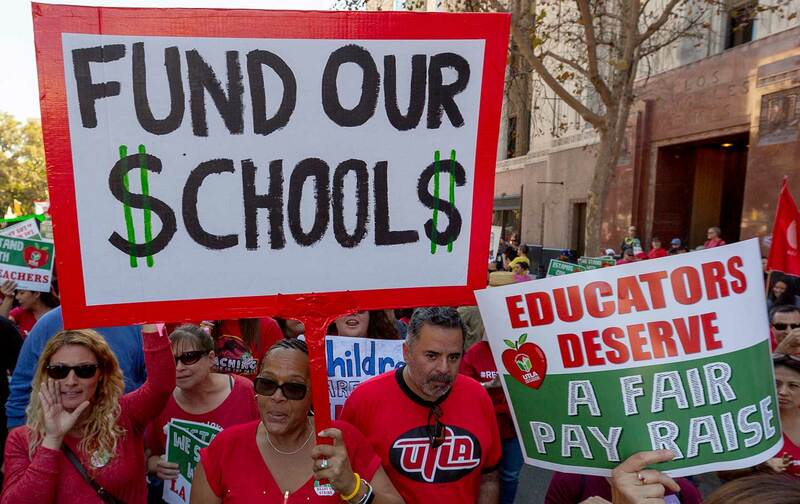 In 2014, a progressive Union Power caucus took over UTLA—and that has made all the difference. There are three picket lines at the Harry Bridges Span School in Wilmington, California, on the morning of Wednesday, January 16, but the one in front of the gate is where the action is. There’s a truck driver there to make a delivery. He’s looked at the picket line and kept on driving for the previous two days, to the jubilation of the rallied teachers, parents, and neighbors holding the line. But today his supervisor is there, and it appears the supervisor has called the police to clear the way for the drivers. The teachers are facing off with the police officers—one teacher is in tears—as they explain why they think fellow unionized workers should stand with them, not try to cross the line. One woman taps my shoulder, saying, “The police should be going after bad people, not teachers!” Another picketer asks where all these police cars are when someone gets shot. Four days into the United Teachers Los Angeles (UTLA) strike, the picket lines are working like well-oiled machines—and the groundwork that union reformers put into reshaping a massive organization into a fighting union, one that has taken over the city with mass rallies and pickets, is showing. So is the work the union has put into building community alliances, as parents, students, and community groups continue to organize solidarity actions that include visits to the homes of schoo-board members and charter-school funders. The UTLA strike, which leadership has called “a battle for the soul of public education,” at this point looks to be a model for how to keep public-sector unions strong in the age of Janus Janus v. American Federation of State, County, and Municipal Employees. That solidarity—between the community and teachers, teachers and the community—goes both ways, Gearin explains. Local businesses have also adopted the picket lines, delivering hot coffee and bagels. In turn, the teachers have coordinated—with money from UTLA—to put together brown-bag lunches for local students who depend on the meals (some of them three a day) they receive at the school. Such solidarity in the community has been key to UTLA’s rebuilding, and it remains key to the success of the strike. Parents and students feel that the fight UTLA is fighting is their fight, too, and that has brought them out in torrential rain; to the doorstep of LA school-board chair Monica Garcia with a list of demands; and to the picket lines before the sun rises every morning. The story of UTLA’s rebuilding goes back to the 2008 financial crisis and recession, when mass layoffs rocked the district. “If you look at our teaching population, between ages 27–32, there are no teachers, because they were getting pink-slipped every single year,” says Emerson Middle School teacher Noriko Nakada. She and a group of others, including UTLA’s current president, Alex Caputo-Pearl, who taught at Emerson then, organized a one-hour work stoppage and civil disobedience in protest of the cutbacks. That moment, she says, was when Caputo-Pearl, Cecily Myart-Cruz (now UTLA/NEA vice president) and others began to get serious about reforming the union and formed the Union Power caucus. “They already were huge union activists,” Nakada says, “but the union wasn’t doing what they wanted the union to do.” When, several years later, the Caucus of Rank-and-File Educators took power in the Chicago Teachers Union, and then led a successful 2012 strike, the Union Power crew was inspired to kick into high gear—and has been building with CTU and other union reformers ever since. Caputo-Pearl is a heavyset man who answers questions thoughtfully; he’ll talk cheerily about the problems with charter-school co-locations or the astronomical costs of a school-board election in Los Angeles, but he really lights up when asked to talk about the reforms his caucus has brought to UTLA since it was elected in 2014 on the promise to institute an organizing department, a political department, a research department, and a parent/community division. The union even managed to get teachers to vote to increase their own union dues in order to make those things happen. UTLA’s strategy has hinged upon making sure that their message is heard by parents, students, and community members across the district, and in turn taking the time to really listen to the parents about their concerns about the schools. What’s known in union circles as “bargaining for the common good”—the idea of introducing demands in collective bargaining that benefit the community as a whole, not just the union’s membership—has been a way not just to revitalize stagnant unions but to reinvigorate interest in the public sector as a whole. It also means that when teachers take to the streets, they have parents willing not just to join them, but to take risks of their own. A key component of that work—and this is where UTLA has had to excel, simply given the geography of its district—is building structures for systematic, bottom-to-top organizing. That means, Caputo-Pearl says, the union can’t just have a small bargaining team that meets with the district when a contract is up. It has to be in constant contact with membership, through an ongoing process of identifying and developing leaders. Teachers are elected as leaders at the school or chapter level; then those chapters are grouped into clusters that have their own leaders, all of them in regular contact with the union leadership. A strike is the ultimate test of those structures, as organizer and No Shortcuts author Jane McAlevey has written, and the Union Power caucus was clear from the beginning that it had to build a union that wasn’t afraid to strike. The building of those community ties has meant the building of real principles and demands that resonate not only for the union leadership but also for members like Rosa Jimenez, history teacher at RFK Community School. She sees the union’s focus on racial justice not merely as a feel-good sound bite but as a reflection of the reality faced by so many of their students: undocumented students, students who are harassed by police in their neighborhoods only to run into school police (LAUSD has its own police force) in the schools, and students being gentrified out of their homes. Jimenez organizes with Students Deserve, a grassroots group that has been inspired by Black Lives Matter’s divest/invest framework and is part of what she says is a different way of thinking about a labor-community alliance. It’s an approach, she says, that gives parents and students a real voice rather than treating them as junior partners. That has meant using the union’s foundation arm to give funds to DACA recipients to renew their papers. It has meant pushing back in bargaining on “random” searches of students on campus. And it has meant calling for the district to establish an immigrant-defense fund to support families threatened by Trumpism. Even the school-funding question, Caputo-Pearl says, needs to be seen through an understanding of institutional racism. California, he notes, used to rank among the states in the nation with the highest per-pupil funding. But as the proportion of nonwhite students in the public schools increased, tax revolts ensured the schools would be starved, and politicians began to cut back further. Now, California ranks 43rd in the nation—this despite the vast wealth that literally looms over the school district in the forms of millionaires’ homes in the hills and studio buildings downtown. Teachers have long been willing to make do with less because they care about their students and the work they do. Such dedication is easy to exploit, and it can be hard to convince caring workers to take the risk of a strike. Yet after decades of cutbacks, privatization, testing, and teacher-bashing—by politicians and the media—teachers around the country are increasingly tired and ready for a fight. “I think right now we are stronger than we have been in two decades,” he said. Los Angeles has plenty of rich people in it, but they mostly don’t send their kids to public school—and thanks to Proposition 13, the 1978 California initiative that capped property taxes at 1 percent of a property’s assessed value, they don’t pay all that much in property taxes to fund the schools either. But living in Los Angeles has only gotten more and more expensive, and it shows even driving down the streets; tent cities line underpasses in the shadow of the Hollywood sign. The UTLA strike is calling the question not just on whether private interests should have their fingers in public education, but also on the entire issue of economic inequality in progressive bastions. California, teachers tell me over and over, is the richest state in the country, the fifth-largest economy in the entire world—so why are their schools funded at levels low enough to rival the “red” states of Oklahoma and West Virginia that saw strikes last year? And why are so many people living in poverty? “One of the things that we are most proud of is our very, very deep work with groups like the Schools and Communities First initiative,” Caputo-Pearl explains. Together, he says, the groups and the union managed to get an initiative on the 2020 ballot to reform Prop 13—the first such effort in years. The initiative would raise taxes on commercial and industrial properties, raising as much as $11 billion a year, its proponents say, and boosting state education funding by 6 percent. But, Zeccola notes, the leadership of the Los Angeles Unified School District hasn’t endorsed the initiative. Within its coalition work, UTLA has also brought housing issues into bargaining, proposing that some vacant land owned by the school district be used for affordable housing. “You can’t live in LA and have vacant lots and be able to go to sleep at night with a conscience if you are not working to build affordable housing for some of them,” Caputo-Pearl says. It is another example of the union’s positioning itself as the defender not just of schools but also of the public good writ large. Charter schools have been a focus of the union’s fight, because they do exactly the opposite of what UTLA wants: They funnel public money into private hands and cherry-pick students, while not serving those with the highest need. And so, on the second day of the strike, UTLA held a rally in front of the California Charter Schools Association (CCSA), even as the CCSA has refused, somewhat conspicuously, to wade into the strike fight. UTLA was there to push for robust charter-school regulation, but also to support teachers at the Accelerated Schools, a group of charters who joined the strike, walking off the job in only the second charter-school strike ever. Chandler Heath, a teacher at one of the Accelerated schools, tells me, “This school is like watching somebody take a Ferrari and crash it into a wall.” Teachers there, she says, are paid some $15,000 a year less than at neighboring schools, and there is a brutal 40 percent turnover rate. Teachers have to wait until the end of the year to find out if they keep their jobs. For the Accelerated teachers to join the UTLA strike seemed a shot across the bow to the CCSA; the union is calling for a cap on charters, but it also isn’t afraid to organize them. The union also continues to challenge Democrats, who have a near-complete grip on the reins of power at all levels in the state, to pick a side. “It really is kind of a come-to-God moment for public schools and for the Democratic Party,” Nakada says. During the Chicago teachers strike in 2012, Rahm Emanuel was fresh from Barack Obama’s administration, where Education Secretary Arne Duncan had instituted the “Race to the Top,” a competition for funding based on test scores, and he had no qualms against cracking down on teachers. 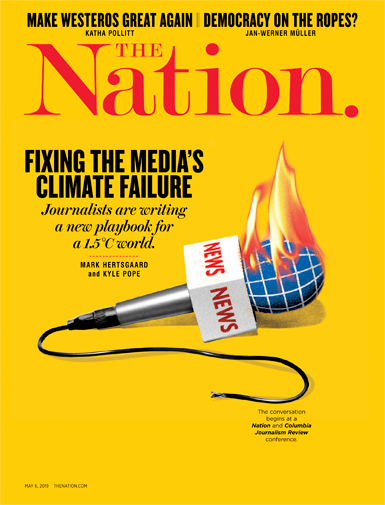 But national momentum has shifted recently toward public schools, with wins for teacher unions as well as moves by organizations like the NAACP, which came out for a moratorium on charter schools. California’s new governor, Gavin Newsom,has advocated placing more regulations on charters and this week called for the legislature to take up the issue. Yet in Los Angeles, the elected school board has independent power, and this has proved a challenge. Chicago’s schools were under the mayor’s watch; the union’s fight was with Emanuel. In a similar situation in LA, the union could challenge an ambitious mayor: Which side are you on, the public or the privatizers? But the school board isn’t filled with people looking to build political careers so much as it is filled with people on one side or the other of an ideological fight, and the school-board elections have been astronomically expensive—$14.7 million in outsider funding last time. The aim of those outside funders, Nakada says, was a district-wide takeover like in New Orleans, where the entire district has been charter-ized. And so, the teachers lined Sunset Boulevard on day four of the strike, waving signs and soliciting honks from passersby in support of their vision for public schools. It is a radical vision not because it is outside the bounds of public opinion but because implementing it would require vast changes to the way our society has been organized. But the old structure is crumbling, despite its triumphalism, and teachers have emerged as the leading voice for a different way of doing things—and a different society. This is a society that values children for their differences, not their standardizable skills; that takes back public spaces for the public; that values play as well as work; that wants resources distributed equitably; and that stands in sharp contrast to Margaret Thatcher’s statement that there is no such thing as society. Sarah JaffeSarah Jaffe is a reporting fellow at Type Media Center and the author of Necessary Trouble: Americans in Revolt. She is at work on her next book, about the expectation of loving your work.